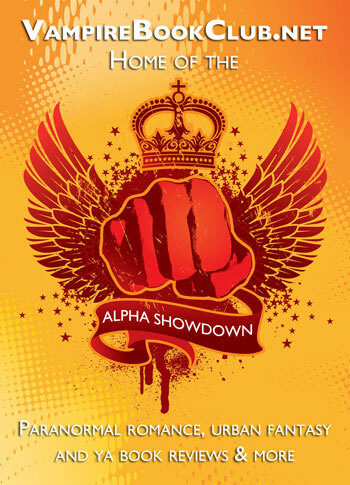 The Alpha Showdown Is On! Vote For Simon! 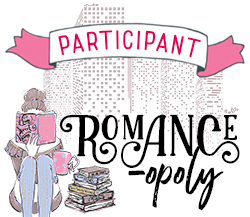 Like Gretl, I too was a fan of Vampire Book Club's Alpha Showdown before I started blogging. This annual competition pits our favorite paranormal characters against each other to see who's the bigger badass. This year I'm actually championing an Alpha. Who am I championing? You ask. My alpha is none other than the delightfully feral Simon Wolfgard from Anne Bishop's The Others series. (You all know how much we love Simon, Meg, and the rest of the Lakeside Courtyard residents around here!) He's taking on Vlad from the Night Huntress and Night Prince series in Round 6. This round is open through the rest of today. So please go read the pitches and vote for Simon! For more on his series, you can check out our reviews. Gretl is also championing an alpha in the showdown this year and Mercy made it to the next round. Watch for her next round coming soon! We had so much fun with the Superhero week we put together recently that we decided to do it again. (Plus, we still have a lot of superhero reads in our TBR piles.) All this week we're bringing you more super-themed reviews and features. 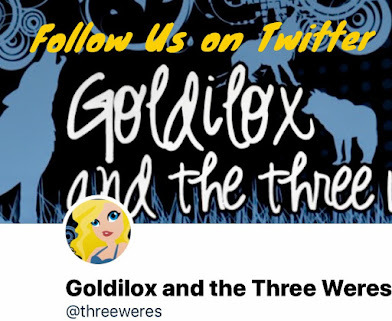 And to kick it off we've got a super giveaway for you. 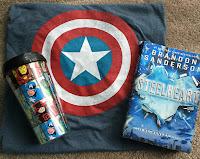 We're giving away a signed copy of Steelheart by Brandon Sanderson, a Captain America shirt (size L), an Avengers travel mug, tote, notebook and pens, a mjolnir key chain, and Iron Man candy. This one will be U.S. only because it will ship in two packages. 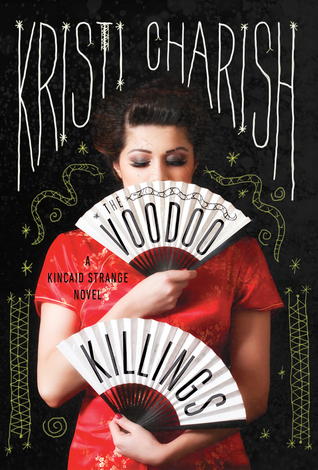 Weres Wanna Know: Is Book Hype A Good Thing? 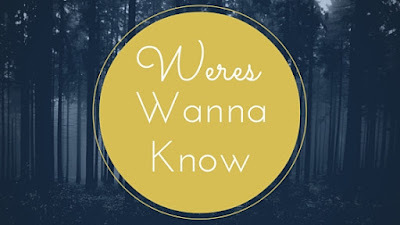 I've been thinking a lot about Gretl's Weres Wanna Know post from last week. She discussed the things that keep her from picking a book up. When I read her post the first thing I thought of that keeps me from reading a book is book hype. 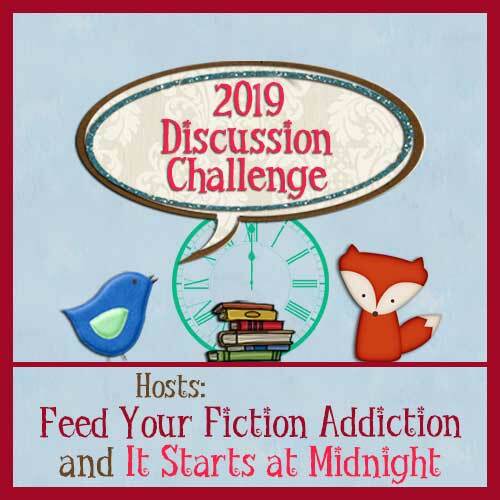 Does The Book Hype Make You Want To Read A Book? When I first got seriously involved in the online book community, I took book hype seriously. I would end up hearing of a hyped book that everybody loved and I'd immediately feel inclined to get my hands on it. So I bought several of the really popular and hyped YA books and I read them. The thing was I didn't like them as much as I thought I would. Don't get me wrong! I loved several of those books and I still love them. But the hype that had built up around those books had raised my expectations so high that some of those books didn't even come close to meeting them. I became the black sheep and I feel betrayed when I don't love a book everyone else does. Unfortunately, it took me a year and a not insignificant amount of money to accept that I'm not going to like a lot of books others are loving and that being the black sheep was not a bad thing. The biggest thing I've learned is how to deal with book hype in a way that lets me read for myself. I curate the hell out of the books I choose to pick up. 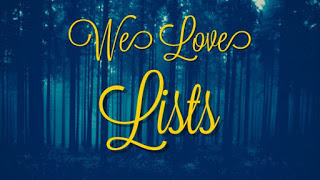 I know more of my likes and dislikes so I don't give in to the book hype as much any more because there are some books that no matter the hype I KNOW that I won't like them. For the ones I'm on the fence about, I've learned that the best possible thing for me to do is to wait. That way I can see whether the book hype disappears quickly or if it just keeps picking up momentum. There are some books that the hype dies as soon as they come out and in those cases most of the time my interest dies with it. It's the books where the hype doesn't die the first six months after release that I find myself gravitating to. I have also come to realize that there are different kinds of hype: publisher hype and reader hype. I deal more easily with one than I do the other. Personally, I hardly ever like the books that publishers decide to push hard. 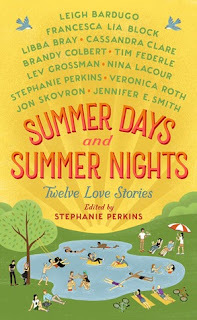 It feels like there's more of a push to promote certain books these days but it seems like each publisher chooses just one book out of all of their upcoming releases to throw all their money at. You all know what I'm talking about and probably can think of a book or two that has been heavily promoted in the last couple of months. I've tried so many of these books the last few years and I can count on one hand the ones I've liked. One of the most disappointing books I read last year was one where the publisher pushed it hard. I will admit that most of this post applies to YA books because I just don't feel the same way about the hype around adult books even though it's there. 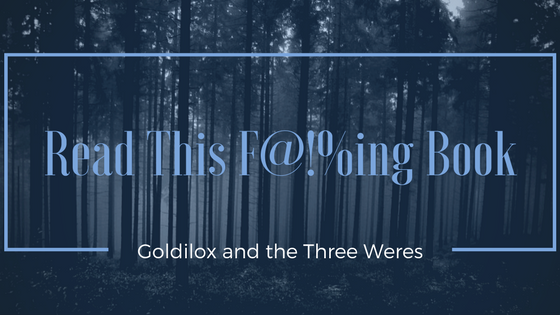 The hype doesn't feel as urgent or as big as it does in the YA community. It's probably my YA burnout talking, but that's how I feel. 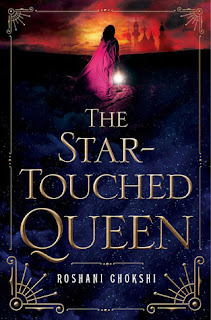 I'm much more willing to pick up a hyped adult fantasy book than I am a YA one. My expectations are still high with the adult books but they're not set as ridiculously high as with YA. I really have no idea why I feel so differently between the two age groups. Maybe I've just been burned too many times by similar plot lines and love triangles in YA. Your guess is as good as mine at this point. Does it make you want to read a book? Why or why not? How do you deal with the hype? Let's discuss! 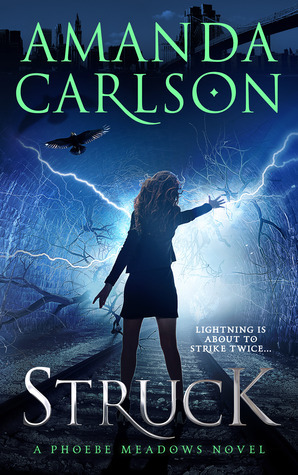 Struck is a modern re-imagining of Norse mythology with a plot that reminds me of Lost Girl if the valkyrie had been the main character instead of the succubus. 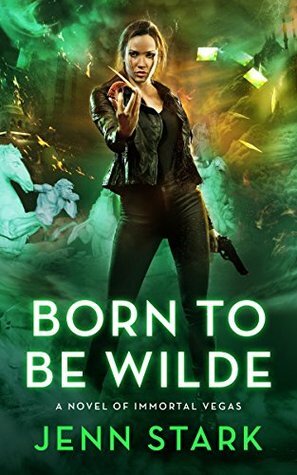 I love the idea of the valkyrie heroine learning about her world along with the readers, getting all the behind the scenes details on how they're chosen and how they train. That's a side of the myth that's not often explored. I also loved all the different creatures that Phoebe encounters in the book, in addition to the mythological figures. She's constantly under attack from demons and giants and all kinds of monsters I haven't seen before. 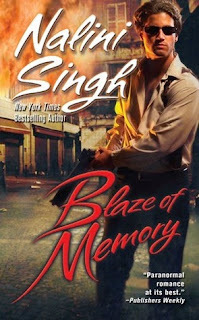 The story is fast-paced and action-packed. Those are all good things, but I struggled with this book. 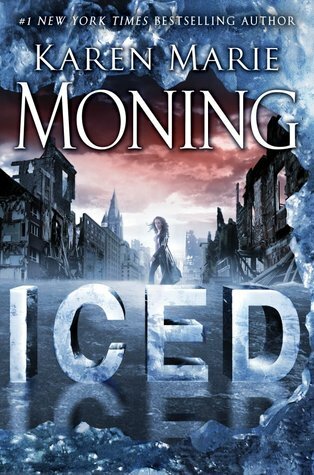 The dialogue is tedious and repetitive, and the writing in general is unpolished and imprecise. The author often chooses a word that's just slightly off in a really distracting way. Like calling someone "a skeleton," rather than "skin and bones," and then proceeding to describe her flesh. I really wanted to get out the red pen and start editing. I also had a hard time with Phoebe - she is just too clueless. She has no idea what's going on around her and doesn't seem to be listening to what people are saying. At one point I actually thought, "has she never seen a sci-fi movie?" Later she actually starts referencing those movies, though it's still obvious she's never seen Thor. Her over-use of words like "gross" and "stinky" also makes her seem immature. It's hard to reconcile that with her sexual behavior. And it's hard to believe a thousand year old demi-god would see her as a potential mate and not a child to be protected. Which brings me to the romance plot. It makes sense that there would be insta-love in this world that's all about fate and prophesy. That's not exactly what happens, but it does seem to come out of nowhere. I wish that Phoebe's emotional connection to Fenrir had been developed more. I like them together and I like the supporting cast she collects along the way. I'm probably being too generous with the three star rating. Two and a half might be more accurate. This was almost a DNF. The writing was just too distracting. But somewhere after the halfway point, I got caught up in the action and didn't notice it quite as much. I'll probably even give the next book in the series a shot, since Phoebe didn't even get to start her Valkyrie training yet. Struck is just about gathering her entourage (and encountering all kinds of baddies) on her way there. 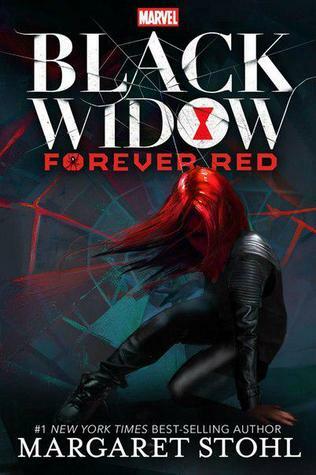 I really hope that next book lives up to the potential I see in this series. Weres Wanna Know: What would keep you from reading a book? In the last few months, I've seen several people swear off a particular author/narrator/cover model because of comments they've made on social media. Though I understand that decision, I'm not going to open that can of worms again. I don't want to discuss any of those people specifically, but it's got me thinking about deal breakers. What Would Keep You From Reading a Book? I've never read The Hobbit because when I was three years old, I saw the animated version and was scared of the chair in the corner of my room for a week. (In the dark, I thought it was a dragon.) I still associate that book with the scary chair and I have no interest in reading it. Also, I will never read a book where I know something bad happens to the dog. Brutalize the humans all you want, it won't bother me, but leave the dog alone. 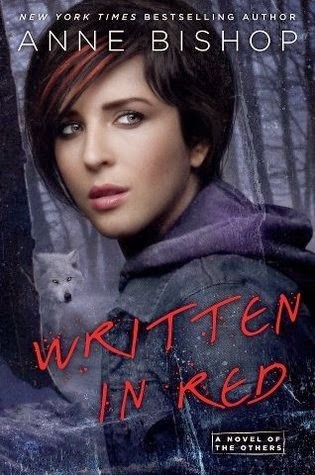 And I'll probably never read the book that was my very first rejected ARC request. I've read other books that I didn't get approved for since then, but something about that first one really hurt my feelings and I just don't want to read it anymore. I recently read a blurb that was so poorly written, I couldn't even consider reading the book. It had a typo in the first paragraph and a grammatical error in the second. (It was only two paragraphs long.) It was a subject I like and the book had lots of positive comments. And it wasn't a self-pubbed title so the author probably didn't even write the blurb. But I just can't. I have the same problem with reviews sometimes too. I know nobody's perfect and I try to cut people some slack, but there's a point where it's just too distracting. If I can't read your review without getting out my mental red pen, I just won't read it. And if it has more GIFs than words in it, I'm not going to read that either.